Beginning in Boston, you’ll travel onwards through the Green Mountains to Stowe for a three-night stay. 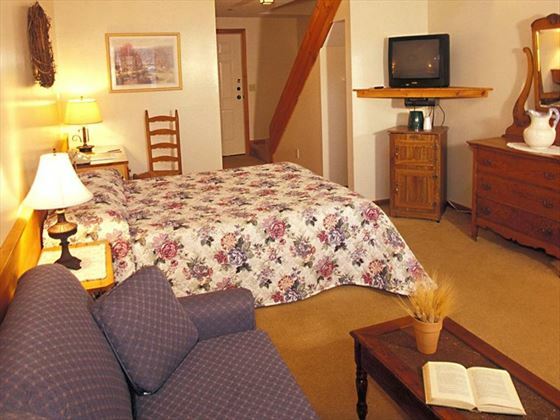 From here, your journey takes you through the White Mountains National Forest to North Conway, where you’ll stay for a further three nights. This self-drive tour ends with a two-night stay at the stunning Cape Cod. This is a great tour for young and old alike, making it ideal for families. Each of the hotels have been carefully chosen to suit groups of four comfortably, and the longer stays in each destination mean that you’ll have more time for activities and sightseeing together. New England offers a number of exciting attractions that kids and adults will really enjoy, from numerous breath-taking parks and forests, to the picturesque beaches, boat trips and whale watching opportunities at Cape Cod. * Additional pre/post tour overnights available upon request. 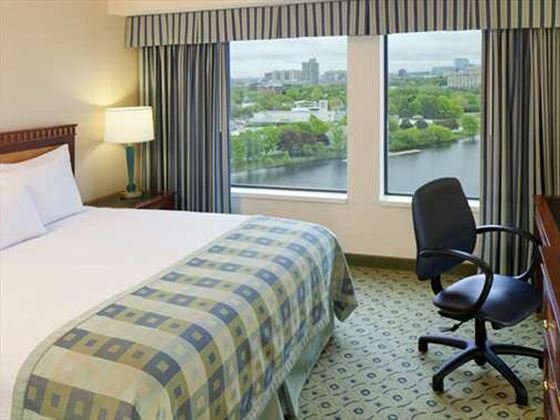 Your first stop is Boston, where you’ll visit for a one-night stay. 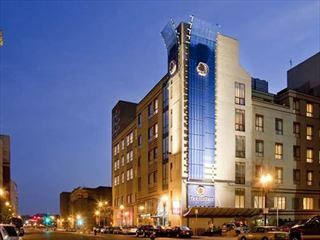 Famous for everything from the Red Sox to Cheers and clam chowder, this is a great start to your self-drive tour. There’s something for everyone here – hop on the Freedom Trail, visit the historic neighbourhoods and explore the waterfront which is home to America’s oldest commissioned warship – the U.S.S Constitution. 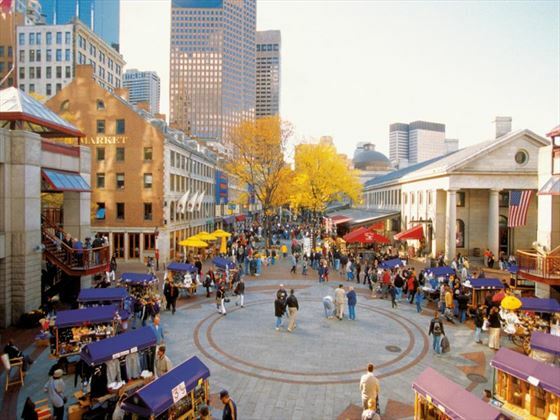 When you’ve finished exploring the sights, you can enjoy a spot of retail therapy on Newbury Street, head to North End for a delicious meal and wind up the evening at the theatre. Boston is a family-friendly destination that you’ll love, with a great children’s museum, science museums and a famous aquarium – a great getaway for all ages. The accommodation consists of a standard suite, with a king-size or twin bedroom and living room. This is separate from your bedroom by a core door, with a dining table for four and a double sleeper sofa. The guest bathroom has a combination shower/bath, and there is a mini fridge, microwave and coffee maker. Today you’ll journey to Stowe, Vermont, which is a charming village situated near Mount Mansfield, which is the Green Mountain State’s highest peak. The world-famous Ben & Jerry’s ice cream factory is nearby – a must for kids! While you’re here, we recommend spending time at Shelbourne and Burlington on Lake Champlain – the second largest freshwater lake in the country. There are a number of museums and attractions here, including the Vermont Teddy Bear Store & Factory. 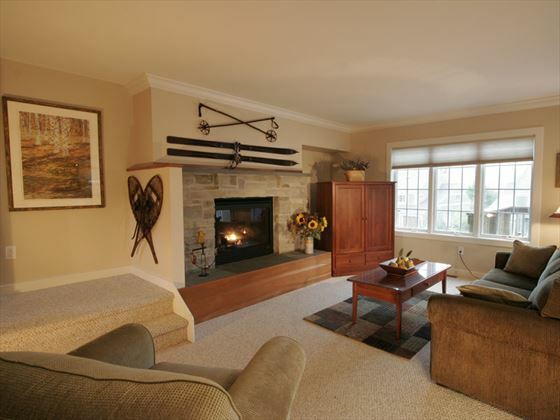 A charming three-bedroom resort home with amazing views of the woods, mountains and ridgeline. The facilities are great, with three bedrooms, three baths, living room with fireplace, dining area, kitchen and Jacuzzi. Travel to New Hampshire for a three-day exploration of the amazing scenery, sparking lakes and picturesque White Mountains. This part of the journey takes you to Franconia Notch, which is a scenic eight-mile pass between the Kinsman and Franconia Ranges, then on to the famous Kancamagus Highway at Lincoln. This picturesque road stretches 34 miles through much of the White Mountains National Forest, giving you the chance along the way to stop at the Saco River in Conway. You’ll also have the opportunity to drive to the summit of Mt. Washington, ride the Conway Scenic Railroad, go shopping at North Conway’s factory, or cruise along the beautiful Lake Winnipesaukee. If you’d prefer, you could always go on a wildlife tour to seek moose, go horse riding or even go zip lining in the mountains. This accommodation offers a Family Loft Room with a double bed and pull-out double sofa bed downstairs, with a double bed upstairs on the ‘balcony’. There is a TV on both levels, with a full bathroom downstairs and a vanity upstairs. The Cape is separated from the Massachusetts mainland by two bridges over the Cape Cod Canal. There a numerous pretty villages and attractions here, including charming shopping areas, inviting restaurants, a fishing harbour with a lighthouse, and colonial-style churches. While you’re here, go whale watching on a cruise (weather permitting) where you’ll get the chance to seek out these magnificent marine creatures. Accommodation consists of two adjoining standard rooms, each with a king-size or two double beds; an interactive TV system with music selections, movies and on-demand movies, and a graphical user interface; in-room coffee makers, hairdryers, and iron and ironing board. Drive to Logan Airport for your flight home; if you leave shortly after breakfast, you’ll have time to visit Plymouth to see the Mayflower. This replica of the ship that brought Pilgrims here in 1620 is a great attraction, as well as Plimouth Plantation – a living history museum where costumed interpreters speaking in 17th Century English depict life in a 1627 pilgrim village – families will love this activity.